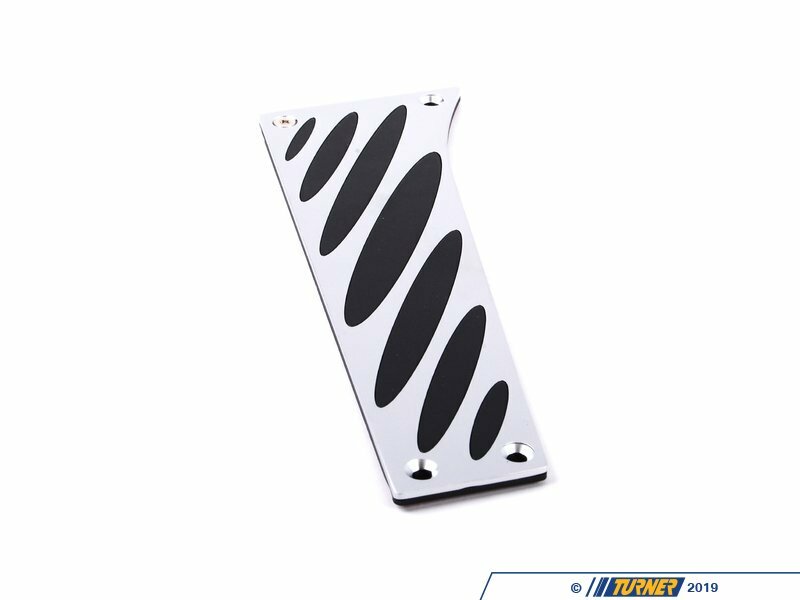 Add comfort, control, and great visual appeal to your interior with this BMW manual transmission aluminum pedal set. 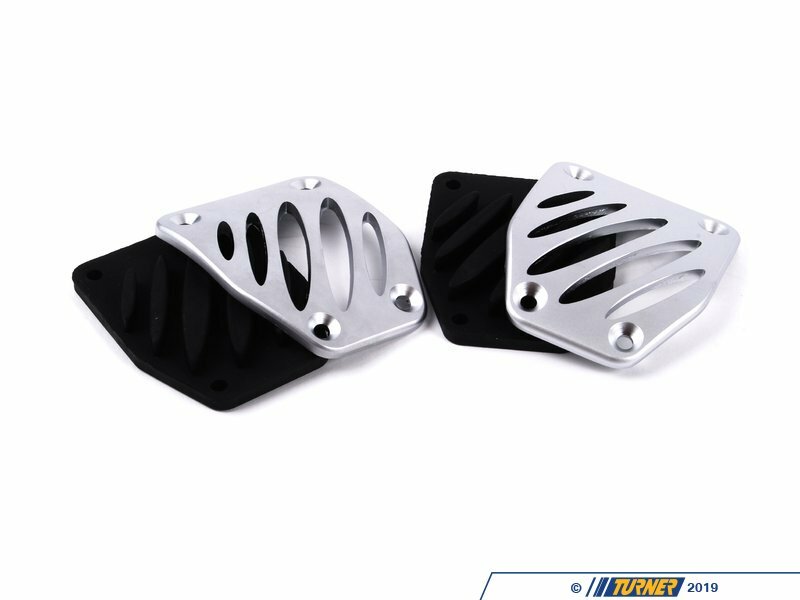 These factory BMW Performance pedals are a direct replacement for the original rubber pedal pads and are a perfect complement to the BMW interior finish and trim. These pedals fit most BMWs with a manual, SMG, or DCT transmission. These are a stylish and functional upgrade that you will appreciate every time you're 'dancing on the pedals'. 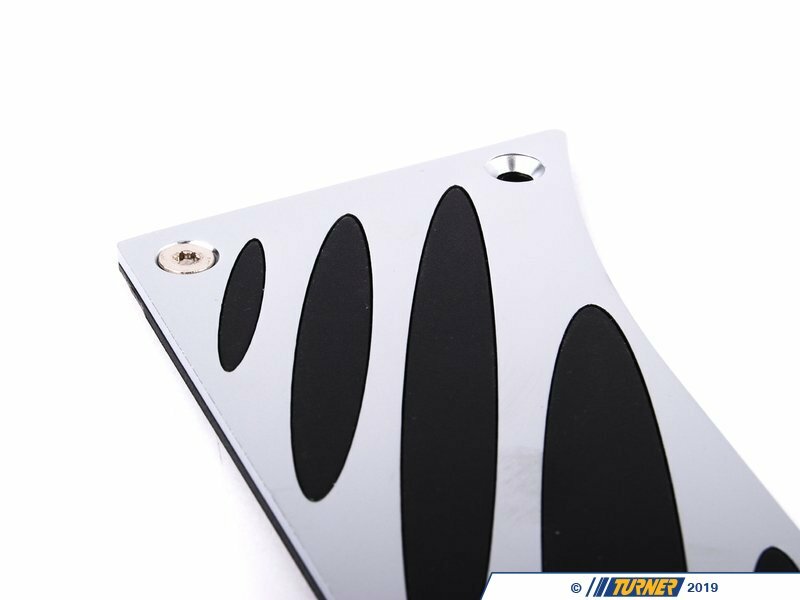 These BMW pedals feature a brushed aluminum surface with raised rubber inserts. 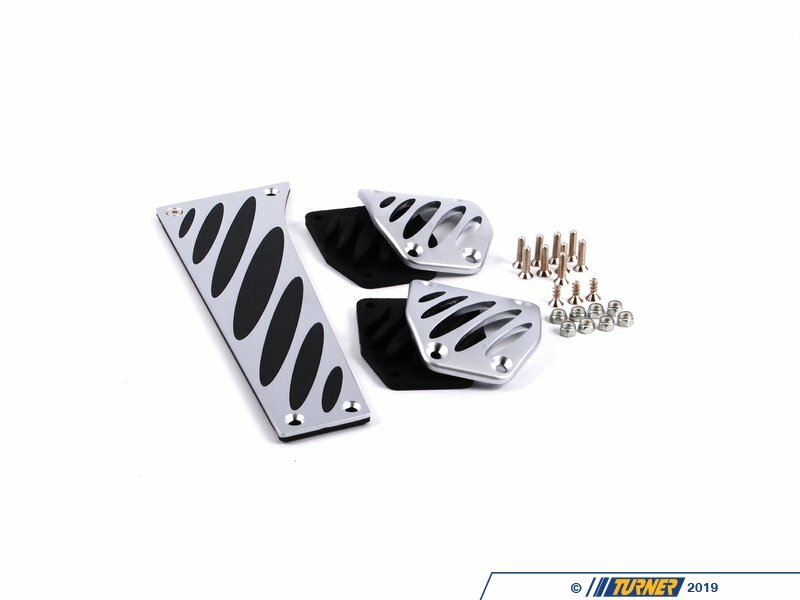 The kit includes aluminum clutch, brake, and accelerator pedals that are screwed to the stock pedal assemblies (flush-fit hardware and drilling templates included). 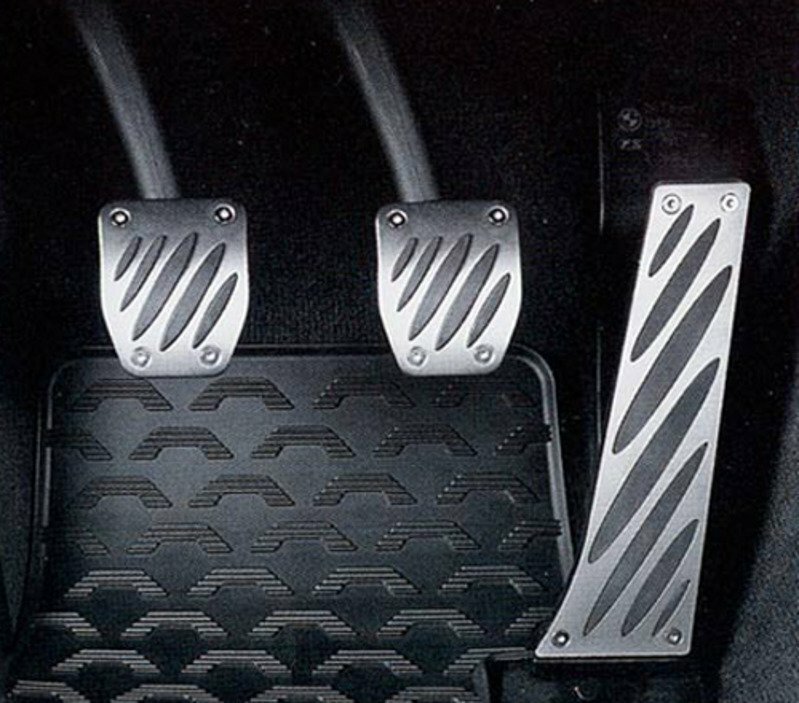 The clutch pedal is not used on the SMG and DCT-equipped models. A matching aluminum footrest is optional (see below). 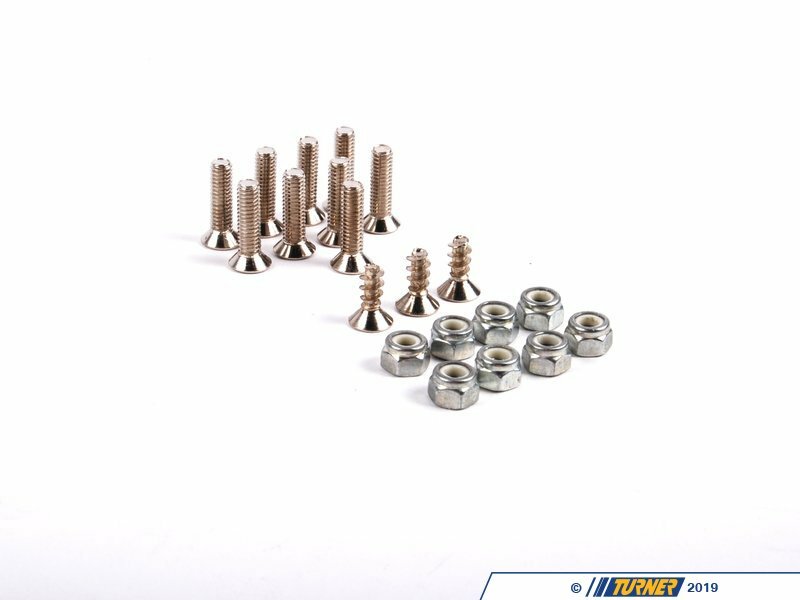 This kit was originally designed to fit the E46, E82, and E90/E92 but it's also a great upgrade on most BMW manual-equipped cars from 1984 to today because BMW has continued to use the same rubber pedal pads that these replace. A Genuine BMW Performance accessory. 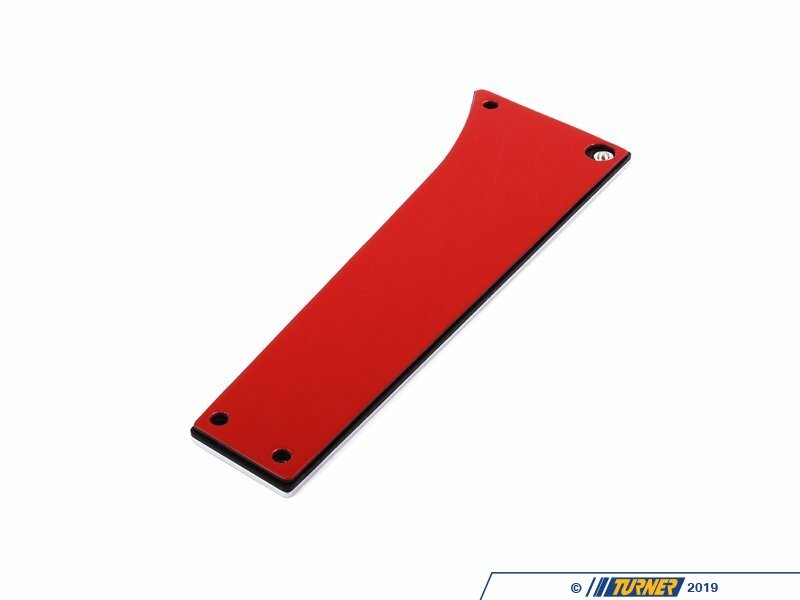 Same kit as BMW part numbers 35000304642 and 35002213213.